Decisions, decisions, decisions! There are so many yummy desserts that can be baked to enjoy after a delicious Easter Dinner. What would be the choice?? Last night the vote was cast! Blueberry Torte! A slice of Blueberry Torte served with vanilla ice cream. That led to a package of frozen local blueberries from our large freezer to be placed in the fridge to defrost overnight. This dessert is always so good. 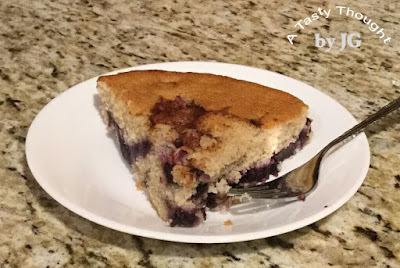 A light cinnamon flavored cake filled with blueberries. It taste delicious any time of year. 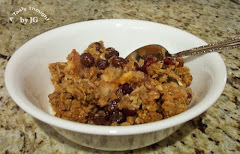 Did I mention that this dessert is easy to prepare? It is. I use 1 Whole Egg + Egg Whites along with Soy Milk when preparing the cake batter. 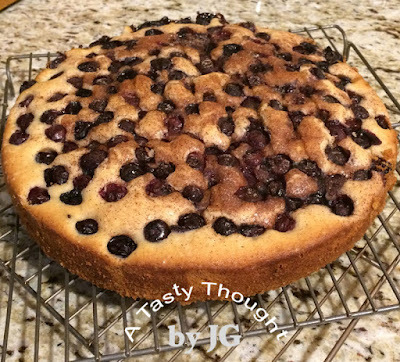 Click here for my recipe! The afternoon is moving along and I need to get started! Now, it's time for me to pull up my recipe on my iPad and get started.